Update 10:18PM CST 3/8/18: Tonight, the commits responsible for the below changes have been merged to the master branch. 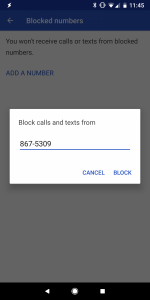 Barring a future set of commits that revert these changes, that means you should expect these enhanced call blocking features to arrive in Android P Developer Preview 2. We’re nearing the release of the first Android P Developer Preview (judging by how much activity has died down in AOSP), but there’s still a few tidbits here and there of possible upcoming features in the next major version of Android. We recently learned about possible native Iris scanner support, privacy tweaks such as blocking camera and microphone access from idle apps, and much more. Now, we’re seeing another feature in the works: enhanced call blocking features. A new set of commits has shown up in the AOSP gerrit from a Sony engineer. 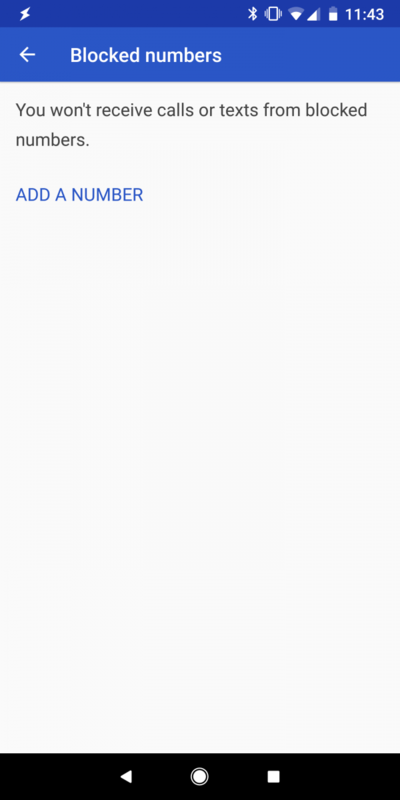 Sony engineers have recently been behind a ton of carrier related changes in Android, such as giving the ability for carriers to define the LTE signal bars, hide the signal strength from settings, and add a national roaming toggle in settings, so it’s not too surprising to see another change from them. The change this time is a lot more user friendly, though, as the commits add new features to the default dialer app: the ability to block calls from unknown numbers, private numbers, pay phones, or any numbers not in your contact list. Currently, you are only able to block calls on a per-number basis. 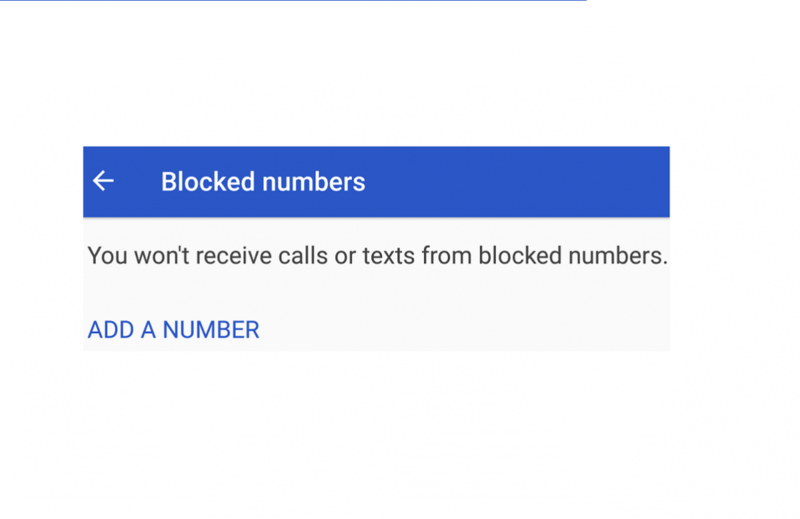 The numbers that you block must be added manually, which means you basically can only block calls from unwanted numbers after-the-fact. With these new settings, however, you can restrict who is allowed to call you so you won’t ever be bothered by unwanted phone calls. 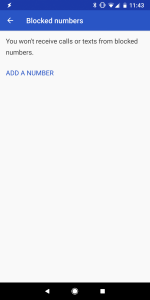 Here are the strings for the text that will be displayed in the new blocked numbers setting in the dialer app. Call blocking is disabled if a user places an emergency call, which makes sense as it’s imperative that someone in distress is able to have emergency responders reach back to them. Responding to a comment from a Googler, the Sony engineer mentions that it is an “operator requirement” for a persistent notification to be displayed telling the user that call blocking has been disabled after an emergency call, so there should be no confusion or panic from the user in these circumstances. Finally, it appears that these new enhanced call blocking features will be available only if your carrier allows it, which is disappointing. We can imagine certain carriers trying to sell you these call blocking features as part of an “added value” package. Ultimately, this would be a great change to Android. 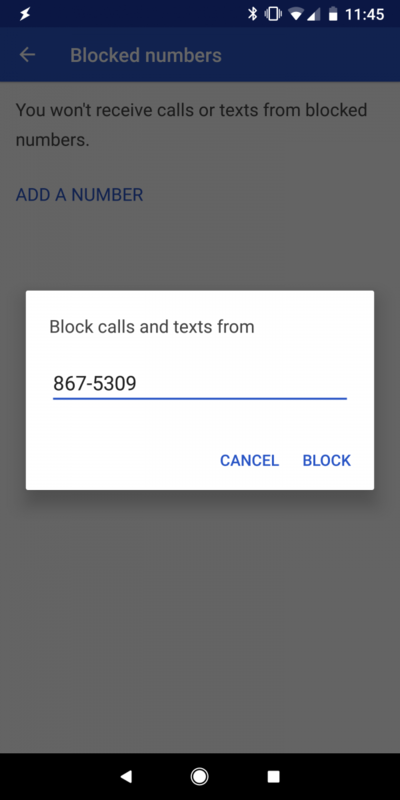 Although there are many free call blocking apps on the Play Store, you are basically trusting that the app isn’t doing anything with your call history. With a built in feature, you wouldn’t have to worry about that. Now, keep in mind that this feature hasn’t actually been merged in AOSP yet. That means it isn’t confirmed to ship with Android P yet, but it’s very likely that it will be. A Googler reviewing the patch states that they are “very much in favor of this change as a whole” so it will likely be merged soon. It may not show up in the first Android P Developer Preview, but as we’ve seen with the Android Oreo Developer Previews, it’s still possible for new features to be added even if the initial preview drops before the commits are merged.